Planning will ensure that you meet your retirement goals. 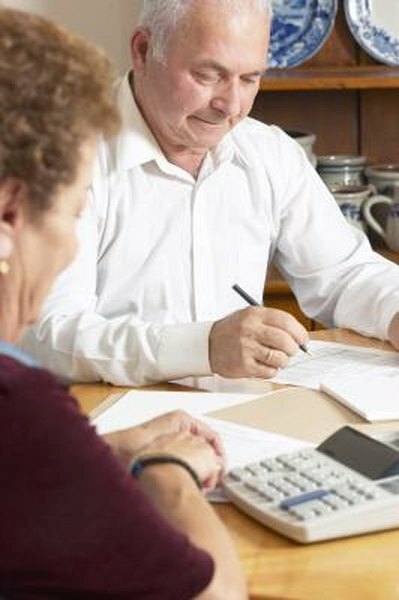 While $3 million is a substantial sum of money, and should be a sufficient sum for you to retire, you must pay attention to the variables that can affect how that money might work for you in your golden years. Age and rate of return will affect how much purchasing power that money has, as will the inflation rate over time. Even with a larger nest egg, correct planning is necessary for a good retirement. Your saved nest egg must produce enough income when you are retired for you to live on. Projecting what you will need in the future is a challenge, and that calculation is based on what you have today for income as well. If you earn $70,000 in income while you are still working, and you estimate that your expenses will be $30,000 less because some of your bills are paid off or because you no longer have to save for retirement, you will need $40,000 in yearly income. You need to project your rate of return on any sum that you have in savings in order to determine if the amount is sufficient to fund your retirement. If you have $3 million in your IRA, and anticipate a conservative 3 percent return on this investment, you would earn $90,000 per year on your investment. You would be able to withdraw this money each year without touching the principal. If your required income is less than $90,000 in this scenario, you would retire fine with $3 million in your IRA. Your age at the time that you plan to retire plays a part in how suitable a sum of money is for retirement. If you are retiring young, under age 59 1/2, two things happen. First, the funds in the IRA must last longer, as you could live well into your nineties. Second, you may have to pay a penalty on your traditional IRA withdrawals of 10 percent of the amount that you withdraw. This penalty will also be due if you withdraw your Roth earnings and are younger than age 59 1/2. At $90,000 per year in income on a $3 million IRA account with a 3 percent modest return, and by not living an extravagant lifestyle, you still should be OK for retirement even if you are young. While $3 million is a respectable nest egg, inflation can erode the purchasing power of your money over time. If inflation runs 2 percent per year, the buying power of your money drops by 2 percent each year. You will need to withdraw 2 percent more in funds each year to pay the same bills that you paid the year before. Unless inflation runs away at extreme rates, in the double digits, then $3 million in an IRA will weather inflation, providing a solid income for the rest of your life. Your age and when you will have the $3 million saved are large factors in deciding if you will have sufficient income for retirement. If you are age 67, and have a $3 million nest egg and are just retiring, your situation is considerably different than a 30-year-old with $3 million and 35 to 40 years for that money to grow before it is needed. In addition, if you are 30 and just beginning to save, and hoping to have $3 million by the time you turn 65, the diminished purchasing power of that $3 million in 35 years is a strong consideration.